To request an inspection and free insulation estimate, call Shepherd's Insulation at 1-844-619-6803 or click below! We are your local contractor for high-quality cellulose insulation in Pueblo, Colorado Springs, Canon City and surrounding areas of Colorado. All types of building insulation can be considered to be "green" products because they save energy, reducing harmful carbon emissions that result from burning fossil fuels. But our unique Tru-Soft™ cellulose insulation belongs in the category of "super-green" insulation materials because it contains up to 85 percent recycled paper - materials that would otherwise be dumped in landfills. The reclaimed paper is processed in grinding machinery that creates a fluffy, lightweight material with insulation value as high as R-4 per inch. Tru-Soft™ cellulose requires significantly less energy to manufacture than fiberglass insulation. Manufacturing fiberglass for a home consumes six times more energy than manufacturing cellulose to insulate the same home at the same R-value. Our cellulose insulation is manufactured using a unique, two-stage process that injects both dry and liquid fire retardants to saturate the cellulose fibers. The result is an exceptional insulation with a Class 1 fire safety rating that meets and often exceeds stringent fire safety standards, helping to keep you and your family safe. Our cellulose insulation also limits the amount of oxygen which can support a fire. The borate solution used to treat the insulation for fire retardancy also makes it resistant to mold and insects. Cellulose does not contain dangerous substances commonly found in building materials, including formaldehyde, volatile organic compounds, and glass fibers. If you have an uncomfortable home or rising utility costs, call the insulation experts at Shepherd's Insulation today. Our home insulation experts will provide you with the quality solutions you need to ensure that your home is as comfortable and energy efficient as possible. Call us today at 1-844-619-6803 to schedule your home insulation inspection and free estimate. 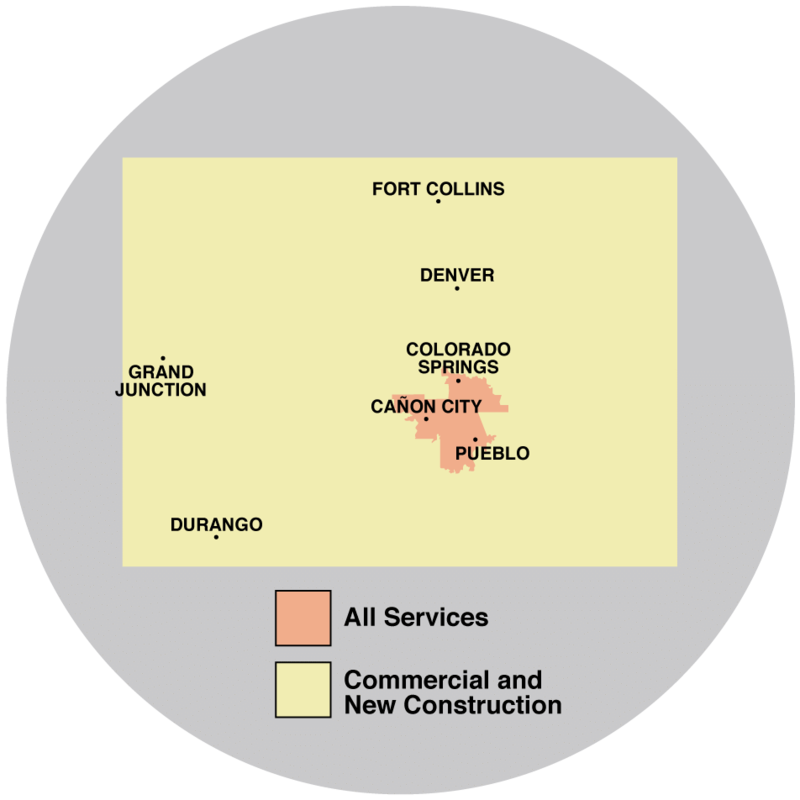 We proudly serve Fountain, Florence, Penrose, Cascade, Manitou Springs, Rush, Yoder and surrounding areas.